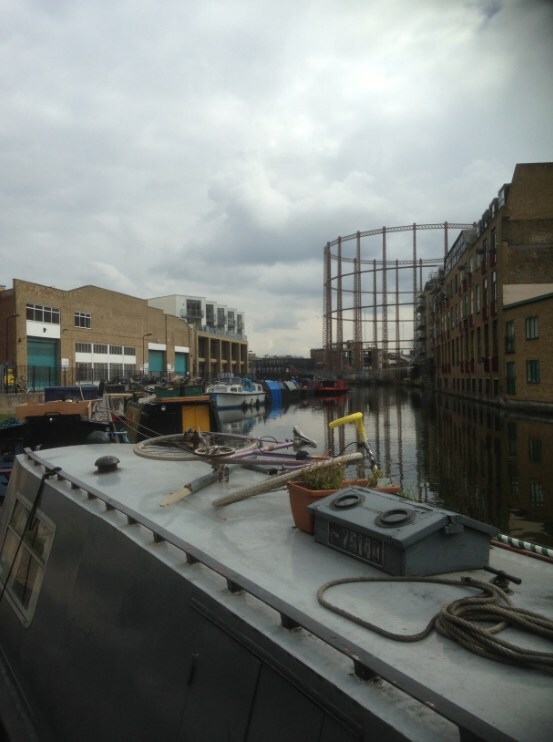 The Regent's Canal is a key part of England’s canal network, linking the Grand Union Canal with the Thames. Running from Paddington to Limehouse, it’s 8.5 miles long and, as the name suggests, dates from the early 19th century. The first section, from Paddington to Camden, opened 200 years ago, the rest of it opening in 1820. This walk follows the stretch to the Thames from Camden. 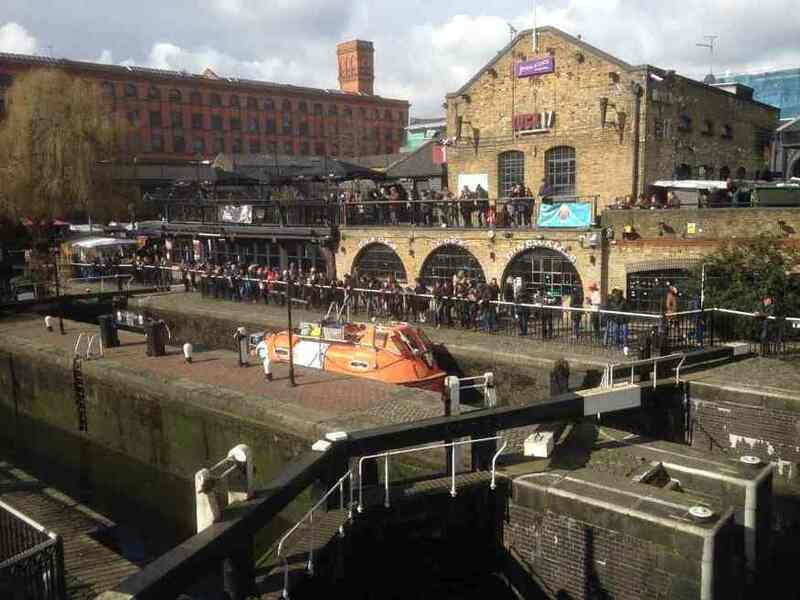 We start amid the crowds and the aroma of street food at Camden Lock Market. Our goal is six miles away, while in the other direction it's two miles to the junction with the Grand Union at Little Venice, and 302 miles to Liverpool (just in case you were considering it). 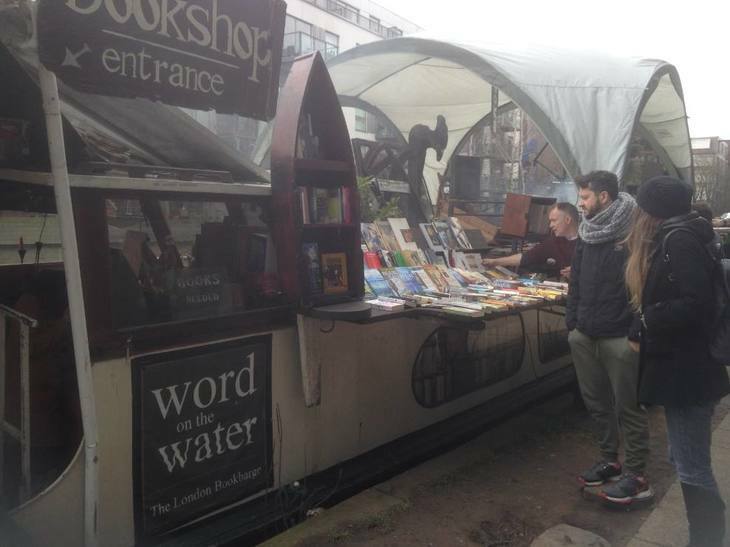 Who doesn't love a floating bookshop? The crowds quickly fall away as we begin on the towpath, passing a couple of floating restaurants and a building site; a lot of warehouses are built alongside the canal, many of these transforming into new housing. This is particularly the case on the stretch between Camden and the railway stations at St Pancras and King's Cross – at one point the construction work is such that walkers are obliged to transfer from the towpath to a temporary pontoon. London's canals are home to various floating enterprises. With luck you'll encounter a few, although they do have a tendency to move about. This time we found The Boston Belle Café, which has been providing tea and coffee along the canals for eight years, just after the Camley Street bridge, while the superb Word on the Water second hand bookshop was located next to the Village Butty ("A Floating Village Hall for East London’s Waterways") near Kingsland Basin. Just before the newer developments at Granary Square (an open space with a fountain that consists of 1,080 individual jets), we pass an inner-city nature reserve. Camley Street Natural Park is a narrow strip of land beside the canal, and is an educational centre as well as a haven for wildlife. 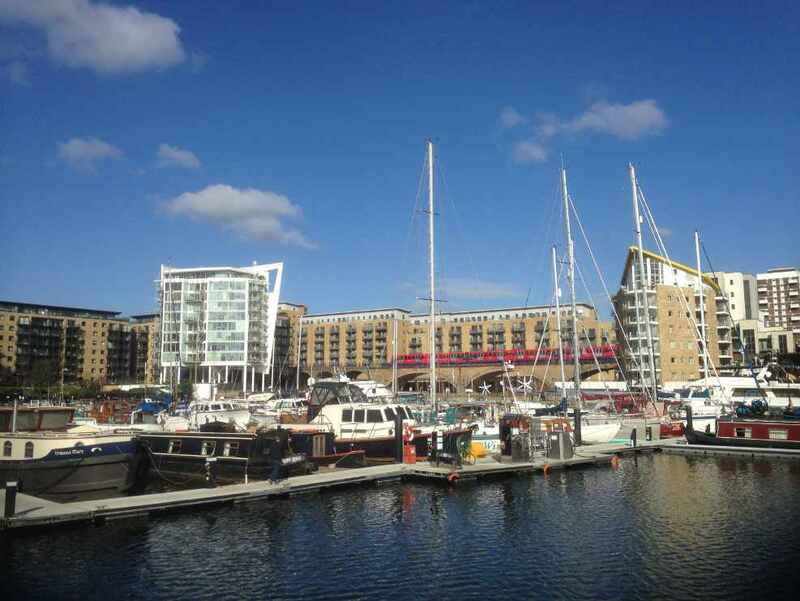 After Granary Square is Battlebridge Basin, a residential mooring site surrounded by glass-fronted office blocks and home to the London Canal Museum, which opened in 1992 and is housed in a Victorian building that used to contain ice imported from Norway by ship and barge. It's open for six days a week (Tuesday to Sunday, plus bank holiday Mondays). 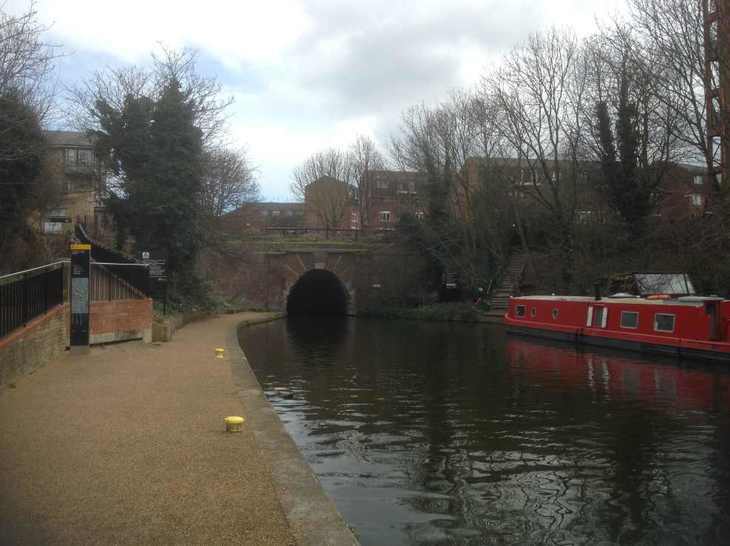 Not far from Battlebridge Basin, the canal disappears into the Islington Tunnel which runs for 960 yards. 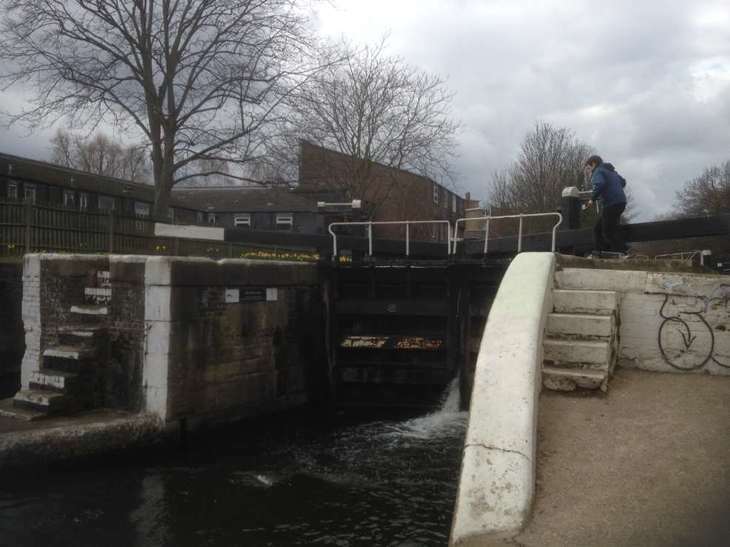 As the towpath doesn't run underground, we need to leave the canal for a short walk through Islington. 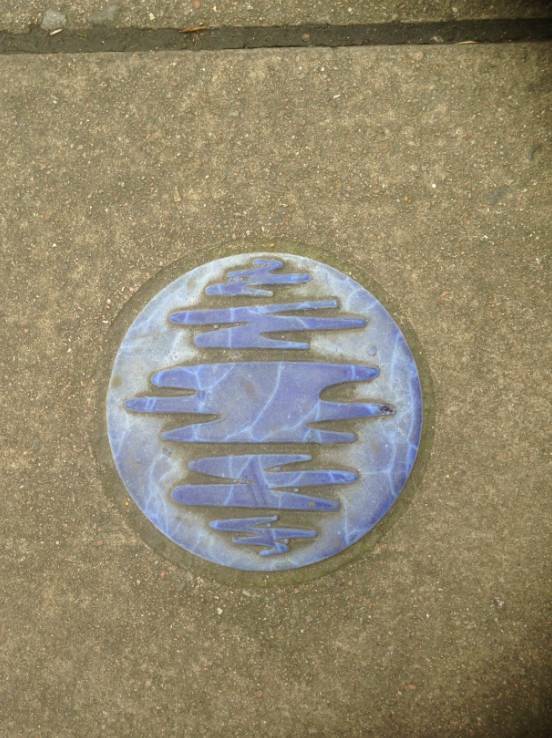 There's a trail of waymarkers on the pavement, although these can be tricky to spot. After climbing up from the canal, cross Muriel Street and follow the footpath opposite through the housing estate — this will bring you to Maygood Street. At the junction with Barnsbury Road, turn right and follow this until you come to Chapel Market on the left. This street has two markets — on Sundays, there's the Islington Farmers' Market, while further along is the daily street market. This street also has plenty of pubs and cafes (and public toilets on White Conduit Street). At the end of Chapel Market, turn right onto Liverpool Road and then cross Upper Street. For anyone wishing to call it a day here, Angel tube station is to the right. To continue, turn left and take the next right down Duncan Street — at the other end we rejoin the canal. Walking along the Regent's Canal offers the opportunity to escape the busy streets and get a behind-the-scenes view of London — the backs of housing, restaurants and warehouses — while there's a chance to get a look at the alternative way of life that is living on a canal barge. Plenty of the barges have bikes locked on the roof — towpaths make perfect cycle paths although there are signs advising that pedestrians have priority — while the smell of woodsmoke is noticeable as a lot of barges have wood-fired heating. 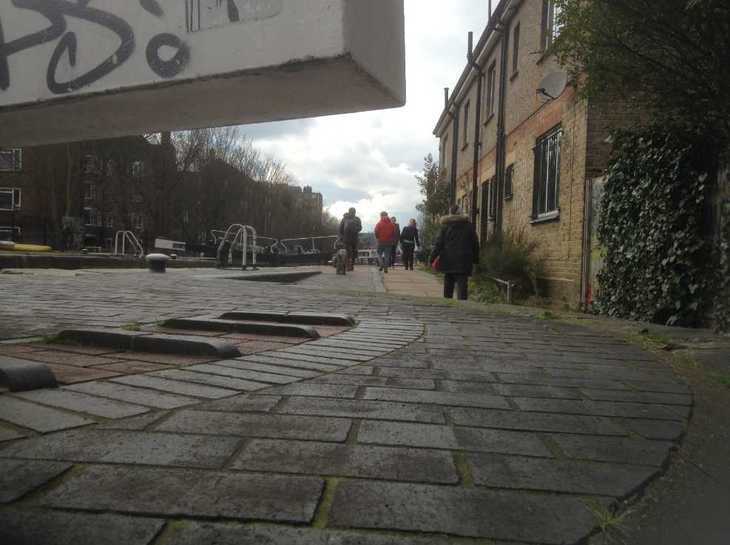 The canal continues east, passing under Kingsland Road and the Overground line (nearest station: Haggerston). Just after Acton's Lock is the southern end of Broadway Market, which runs up to London Fields (the street market operates on Saturdays). Shortly afterwards, the canal runs alongside Victoria Park — the West Lake is visible from the canal (there's a cafe and toilets here) just before Old Ford Lock where the lock cottage and stables are listed buildings. Stables were an important aspect of canals, as barges were originally pulled by horses, which were provided by the canal's operators – indeed, this is why canals have towpaths. Just after Old Ford, there’s a junction with the Hertford Union Canal which leads to the River Lee Navigation Channel. The Regent's Canal then passes Mile End Park. By Johnson's Lock is the Ragged School Museum which is on the premises of a school established by Dr Barnardo in 1877 to provide the children of Mile End with a basic education. The museum (open on Wednesdays, Thursdays and the first Sunday of the month) features a reconstructed Victorian classroom as well as aspects of local and cultural history. From there, it's half a mile to Limehouse Basin — once the principal point of access to the Thames for the entire national canal network, although its use declined with the growth of the railways. Like much of the Docklands, the area was redeveloped in the 1980s. The best way to end the walk is to go to the swing bridge on Narrow Street for a glimpse of the Thames. And of course a well-deserved drink in one of the area's pubs. Check out more Weekend Walks.